I read somewhere recently that we check our phones 150+ times per day. That is crazy but I believe it! I am constantly reaching for my phone to check the time, read an email, browse Instagram, and multitask a million other things. Let's face it: we live by our phones more often than not. Heaven forbid we run out of data or lose signal. I'm also notorious for color coding my apps. Well, not notorious but here is where I admit that, yes, I color code them. Oh the main page is a mess of what I most frequently use but the rest is done by color. On my home screen there is a folder titled "Favorites" and that is what I'm sharing with you today. 1. Pocket. An easy way to save all those article your friends post on facebook or retweet day in & day out. I was in the habit of just pressing "Add to Reading List" but I would never go back to the list. 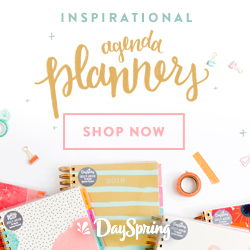 With everything neatly in one place, and in a cute app to boot, I have a great selection of reading material when out and about, waiting in line at the store, or just for fun. 2. A Beautiful Mess. My, my, my I love this app! Designed by the lovely sisters Elsie & Emma at the A Beautiful Mess blog, this is one of my favorite photo-editing apps. The most recent update has 30+ new features, doodles, fonts, borders, etc. to jazz up your instagrams. 3. Camera+. Another alternative to the camera app. Mine has been giving me trouble lately so this is a nice go-to. 4. Mextures. I have not mastered Mextures yet but I plan to! This is an app that allows you to layer and mix textures and photo-effects of all kinds. Several of my friends are complete pro's at it and I need to learn their ways! 6. 30/30. Talk about productivity! This app lets you make a list of tasks and assign them a time amount. 20 minutes cleaning my room, 10 minute Facebook break, 30 minutes studying, then 45 minutes for another episode of Merlin. I just love it! 7. Adore. I love this app and don't use it enough! 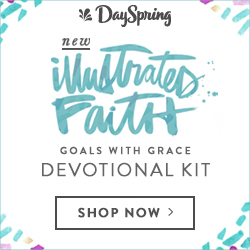 It has an A-Z list of the attributes of God, perfect addition to your morning devotions or a great reminder during the day. Now, I'm sad to say this app is no longer available for download in the US. I'm not really sure why but I know we've run into this trouble. 8. Shazam. Ever hear a song playing in your favorite store but have no idea who it's by? SHAZAM! Open the app, press the button, and it will within seconds recognize the song and pull up its info. You can save your findings, download them on iTunes, etc. A must-have, I'd say! 9. Bloglovin'. Many of you know --well, all of you should know by now!-- that Google Reader is a thing of the past. 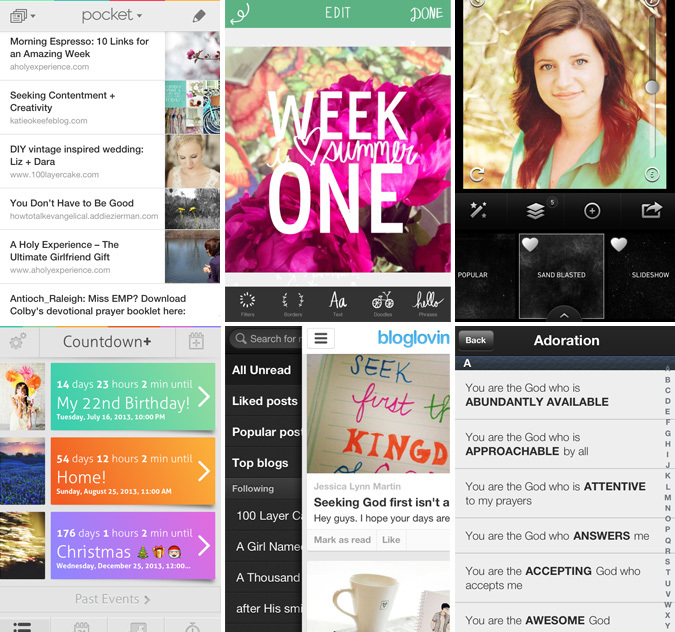 Bloglovin' is where I catch up on all my favorite blogs as well as have linked my own. Check the side of my page to follow Anchored in Love Divine on Bloglovin', and feel free to dig through my favorites. 10. VSCOcam. Such a spiffy editing app. I use this on nearly all of my pictures, and the camera within the app is pretty nifty, too. Great filters, color enhancing, and you can adjust exposure, contrast, grain, etc. I highly recommend it! 11. Evernote. I don't know about you, but the yellow legal pad note app and the funky font just don't do it for me. Evernote lets me open and save word documents, import pictures and voice memos, and keep everything organized for various projects. I'm still learning and exploring, but so far so good. 12. WhatsApp. What to say about this app? This is a chat-alternative to texting, especially great for when traveling abroad --or when all of your friends head off to Uganda the day after you move across the country. Perfect timing right? I haven't used it much but everyone I know that has it has raved great things about it. So, in to the Favorites folder it went! For now. --Sunrise, a great calendar app! --YouVersion Bible, an app with dozens of translations of the Bible as well as ready-to-read devotionals and study plans. --Instagram, need I say more? Find me here! --Any.Do, a lovely little check list app. You can literally cross things off your list and it keeps track of how many "to do's" you've done. So what apps am I missing? Any of these make your list of favorites, or do you know one I just need to have? Hope these lead to some new discoveries for you! Happy Tuesday.